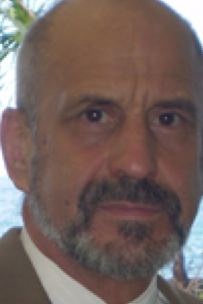 Attorney Paul J. Sulla, Jr. Files for “Defamation” and “The HOROKANE” Counterclaims Conspiracy Citing State of Hawaii Officials’ Neglect of Duty. Empowered by Racketeers and Willfully Blind Lawyers and Local Judges, The Supreme Court of Hawaii Now Needs to Explain Why They Allowed a Censured Attorney that U.S. Tax Court Justices Compared to “A Reckless Man,” to Continue Damaging People. The Hilo attorney, Paul J. Sulla, Jr., along with four other lawyers and two Third Circuit Court judges have been named in a counter-action exposing the most “outrageous” on-goings in the State’s judicial history, according to court records now in the Third Circuit Court before Judge Elizabeth A. Strance. Shocking the doctor and his co-defendant, investigative journalist Sherri Kane, their counterclaim was struck by the court on technicalities, not merits, compelling the pro se defenders of civil rights and freedom of the press to refile in defense of their reputation and property–the 15-acre “Steam Vent Inn & Health Retreat”–famous for its lava-heated steam sauna’s and geothermal bathing pools. In 2004, Horowitz went to attorney, now Third Circuit Judge, Glenn S. Hara, to help protect him and his ministry from a drug-trafficking crime gang extorting him by threatened theft of his $85K deposit on a planned religious property featuring a geothermal wonderland and Bed & Breakfast. Hara and Horowiz sat together to draft an “Agreement for Closing Escrow” that was signed, and later altered by the criminals who removed the precise language Hara added to protect Horowitz against extortion threatened foreclose. In 2005 the foreclosure-indemnifying Agreement was altered by convicted felon, Cecil Loran Lee, using his domestic partner’s computer. That partner–Herbert M. Ritke’s–knew all about Lee’s history of drug-trafficking and entering forgeries and altered documents into the Third Circuit Court. And it was Ritke who extorted Horowitz for more money, acting as Lee’s supposed legal “counsel.” Months after the closing, Lee and Ritke entered their altered Agreement for Closing Escrow into Judge Ronald Ibarra’s Court (in the same Circuit with Hara) to bring foreclosure to evict Horowitz and his ministry from the property. Common sense would say Lee and Ritke would go straight to jail, especially because Ibarra is Senior Justice in The Third Circuit Court, ruling in the same Circuit as Hara. But common sense was replaced by “willful blindness” by these justices and five attorneys, according to the counter-complaint, in what amounts to a huge embarrassment to the Supreme Court of Hawaii whose disciplinary officials had already censured Sulla, then refused to investigate the evidence of forgery and organized crime submitted by Horowitz. 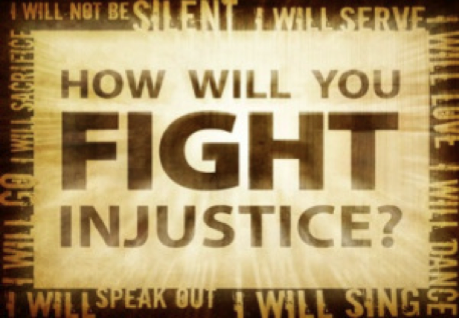 The journalists’ counterclaims evidence the court-officers’ complicity in the organized crime of depriving citizens of their rights and religious property by failing to perform their commission for public protection against corruption within the court system. Sulla caused the damages by certifying three more forgeries of promissory notes and a mortgage assignment to steal the “sacred” Pahoa, HI, property, allegedly on behalf of a “sham ‘church’” he illegally constructed for Lee and Jason Hester–a man Sulla falsely certified as Lee’s “nephew” in filings with the State. The journalists’ filings evidence a criminal conspiracy proving fraud and forgery neglected, even secreted for seven years, by the courts and attorneys involved. The ordeal has put Horowitz, his family, and ministry, through a living hell in their battle to keep the property, financially-devastating them more than $6 million, and severely-distressing them to the point of the family’s and ministry collapse. Thus, Horowitz’s counterclaim contends Hara violated his 2004 contract to represent and defend him in matters concerning Lee/Ritke’s threat pursuaint the Agreement For Closing Escrow–a document ruled a forgery by the Ibarra Court, vicariously indicting Judge Hara. Investigators deserve to know why Hara failed to come to Horowitz’s aid. The decision certainly wasn’t in the best interest of the State’s Judicary, nor of Horowitz’s ministry. But it certainly aided-and-abetted organized crime and a conspiracy to deprive the ministry, defraud the Court, and irreparably damage Horowitz, who relied on the Hara-drafted Agreement to purchase the property and protect it against foreclosure by the gangsters. Willful blindness of the judges in this conspiracy featuring forgery and fraud before four courts, and “comparative liability” of all the “court officers” (attorneys and judges) caused Horowitz and his ministry more than $6 million in damages for which the parties, including the State of Hawaii, are being held liable. Suggestions of political corruption enters this litigation because of Horowitz’s leadership in the independent media as a drug-industry whistleblower, Sulla Jr.‘s “scandalous” multiple connections to the CIA, and Carroll’s history in the Republican Party. Carroll’s father was Hawaii’s Governor, and Carroll served as the GOP’s Chair, as a four-term State Rep., and as the party’s 2000 U.S. Senate Nominee. 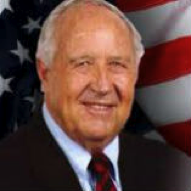 Carroll won a seat in the Hawaii State Senate, and authored the State’s Code of Military Justice. But with all that savvy political and criminal training, Carroll’s negligence was appalling. “John is standing by to provide whatever documents and counsel he can provide,” Horowitz wrote supportively to Dubin. But Dubin was just as bad－doubly arrogant, many times more misleading and cryptic, and both attorneys grossly neglected The Hara’s File and a lot more. Carroll ran up a bill for more than $100,000.00 in a case he predicted would be “slam-dunked” for $35,000.00 due to the obvious forging of Judge Hara’s Agreement for Closing Escrow that superseded the mortgage under foreclosure. Carroll, sanctioned attorney Daniel O’Phelan, and Sulla, Jr. caused most of the early damage, before Dubin entered in 2010 (a month before Sulla’s illegal foreclosure “mock auction” that he conducted in contempt of the Ibarra Court that denied foreclosure in its final judgments. Dubin promised to do a lot, but did nothing at all to block Sulla’s ”mock auction” as he was commissioned to do. He also neglected to file a complaint against the co-conspirators as he was paid and promised to file. In this way, by default and neglect, Dubin effectively aided-and-abetted Sulla and his co-conspirators in slandering title to Horowitz’s ministry property, indefinitely. And this followed the devastating damage that occurred during the 2008 foreclosure trail, wherein Carroll and O’Phelan advanced questionable jury instructions; Carroll rarely objected to O’Phelan’s lies. Incredibly, the gubernatorial candidate, Carroll, became tongue-tied during critical moments in the trial. Then he hired an “impeachable ‘expert’ witness” that raised doubts in the jury’s mind about who actually committed the forgery. Beyond all that, the defense later learned the jury was rigged. Somehow the selection of the jury foreman was tainted. Two weeks after the trial, the man, “Mr Strada,” attempted to buy the subject property for himself through a Pahoa, HI, real estate agent tor the precise price of the jury award! The real estate agent happened to be familiar with Horowitz and his ministry, and she alerted Horowitz’s ex-wife, who info to Carroll, after learning about it from “Mr. Strada’s” niece. The tainting was to be reported to the Court by Carroll, and Carroll wrote “I am sending your letter to Judge Ibarra. I will follow-up with an appropriate motion;” but henever did file any such motion, and the judge never declared a mistrial. Judge Ronald Ibarra, according to attorney Carroll, knew Horowitz didn’t alter The Agreement. 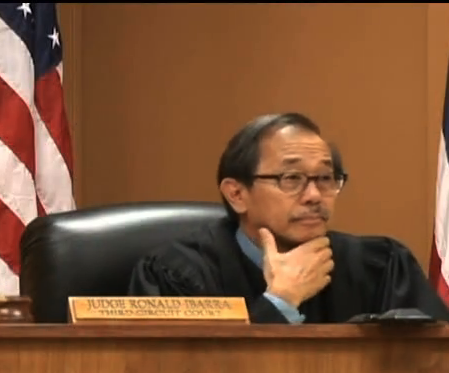 Ibarra knew Lee had previously been condemned for altering documents in Greg Nakamura’s Third Circuit Court, and he knew that Judge Hara had actually issued the precise language in the “true certified original” Agreement indemnifying Horowitz from foreclosure (as certified by Island Title Company). All of this proved Lee/Ritke edited Hara’s draft, and their attorney, Dan O’Phelan, certified the forgery by perjury to bring foreclosure. Despite all of this knowledge in Ibarra’s mind, however, he failed to overrule the jury’s unfathomable verdict, blaming Horowitz for the forgery that vicariously indicted Judge Hara and prompted Lee and Ritke to libel Horowitz to members of the community and the national press. And if all of this was not bad enough, Ibarra ordered Horowitz to make an “accelerated” balloon payment to release the mortgage in question. Then, nearly a year after Horowitz made that payment, respecting the judge’s and jury’s $200,000.00 award for general “monetary damages,” Ibarra vacated the award, because (supposedly) Carroll neglected to defend against a pro se Motion by Lee to obtain relief from the initial judgment(s). It is apparent that the “fix” was in to damage Horowitz. Ibarra’s judgments were twisted by claims that Carroll did not “plead fraud with particularity,” that is explain the fraud sufficiently. This outrageous injustice was documented in the 345-page Counterclaim containing more than 1300 pages of exhibits presenting the “prima facie case” of Fraud Before the Court and conspiracy to ruin Horowitz and his ministry under color of law struck by the Stance Court for reason of its length and falsely claimed missing Table of Contents. (Click here to download the entire filing by requested donation). CLICK HERE to view the news coverage of the fraudulent foreclosure auction. 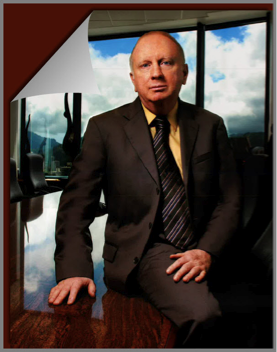 And despite John Carroll and Gary Dubin being “high profile” attorneys in Hawaii–Carroll, a political veteran, and Dubin “the expert foreclosure attorney” being jailed previously, supposedly unjustly, (Read that story HERE.) neither attorney thought it important to look into Hara’s file that was in their possessions for years. It occurs to reasonable people that any attorney’s “inquiry reasonable” would start with the Hara’s file, that certifies the origin of the single most important document in the case—a record that would have freed Horowitz and his ministry from nine years of damages brought by forgers, Lee and Ritke, and their certification by attorneys Dan O’Phelan, Paul Sulla, Jr. and the willfully blind, John S. Carroll. The history and material evidence in this case, yet to be addressed by the Court(s), including why attorneys Dubin and Brower covertly conspired with Sulla to delay proceedings,, and judges Ibarra and Hara acted willfully blind to Horowitz’s victimization by organized criminals conducting securities fraud under color of law, dishonors the officers and evidences a pattern of malfeasance indicative of organized crime. 1) Why did Judge Hara choose to give the impression of impropriety rather than simply and honestly provide testimony during trial? 2) Why did Judge Ibarra, knowing Judge Hara had drafted the closing Agreement, and knowing Lee had a history of submitting forgeries in the Third Circuit Court, rule favoring the perjury of Lee and Lee’s counsel, Dan O’Phelan; especially when Ibarra had already sanctioned Rambo attorney O’Phelan for committing his own forgery in that same case and court? 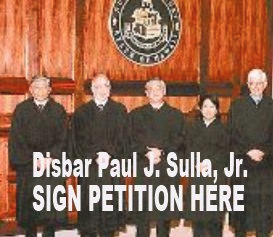 4) Why was Sulla neglected by well-informed Hawaii County prosecutors, and not arrested for contempt of the Ibarra Court’s foreclosure denials when Sulla illegally conducted a non-judicial foreclosure (NJF) after Ibarra ruled thrice against foreclosure in his final judgments–a compound crime in violation of HRS §651C Uniform Fraudulent Transfer Act; HRS §485A(501;502), Uniform Securities Act; HRS §485A(508;509; HRS § 708A-3 Money Laundering Prohibition; and HRS §414D Hawaii Non-profit Corporations Act; along with violations of “Regulation of Public Charities and Private Foundations in Hawaii” by Hugh R Jones; and/or Hawaii AdministrativeRules, Title 16, Chapter 39. Securities, Section 14, 18, 22 and 23. (See: Hugh R. Jones Regulatory Article. These are some of the obvious questions the Court will need to consider for the rendering of justice. * Horowitz is simply seeking justice to be served by the State’s judiciary at this time, and arbitration with the judges prior to litigation, especially because his contract with Hara requires this. ** Dr. Horowitz requests your prayers to continue advancing his plans, including the delayed development of the ministry’s International Institute for Native and Natural Healing on behalf of world health and the underserved native Hawaiian community.